JDS aims to foster intelligent inquiry into pressing social problems of our time, especially pertaining to the place and function of education in resolving such problems, as well as to share, discuss, and disseminate the results of such inquiries. JDS is also a space for building and sustaining the networks of students and scholars of the philosophy of John Dewey and American Pragmatism. Click the “Follow” button in the lower right-hand corner of the page to keep track of JDS events and news, and upcoming conferences and meetings where pragmatist scholars and educators are convening. If you would like to join the JDS, please click on “Membership“. New members of the John Dewey Society will receive two classic books—thanks to the Tanner Foundation. * The books include: John Dewey’s The Sources of a Science of Education and Dan Tanner’s Crusade for Democracy: Progressive Education at the Crossroads. Dan Tanner’s book provides a detailed history of the John Dewey Society. The University of Chicago Laboratory Schools invites you to participate in the Centennial Colloquium on Dewey: Then and Now conference. The conference commemorates the 100th anniversary of a transformative two-year trip to China made by University of Chicago Laboratory Schools founder John Dewey. The conference will take place on May 2-4, 2019 in Chicago, IL. 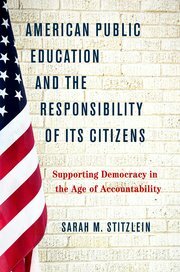 Contemporary political and socioeconomic conditions largely characterized by corruption and inequity have added new urgency to recurring calls for reorienting American public schools to their historic purpose: educating a citizenry both equipped and motivated to serve as the ultimate guardians of democracy. In these two brief books, Dewey offers readers both the motivation to engage in the struggle for a new emphasis on educating for democratic citizenship and the guidance necessary to translate his theory into effective practice. We would like to announce a new, edited book by Jay Hanes and Eleanor Weisman titled, The Role of the Arts in Learning: Cultivating Landscapes of Democracy. Jay Hanes and Eleanor Weisman’s new book is grounded in philosophy from John Dewey and Maxine Greene. It sheds light on difficulties and practicalities of examining culture and politics within the realm of interdisciplinary education. 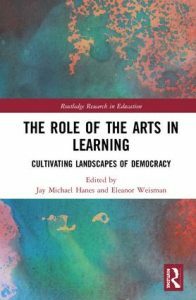 Providing both theoretical and concrete examples of the importance of a contemporary arts education, this book offers imaginative ways the arts and sciences intersect with democratic learning and civic engagement. Chapters focus on education in relation to diversity, apprenticeship, and civic engagement; neuroscience and cognition; urban aesthetic experience and learning; and science and art intelligence. 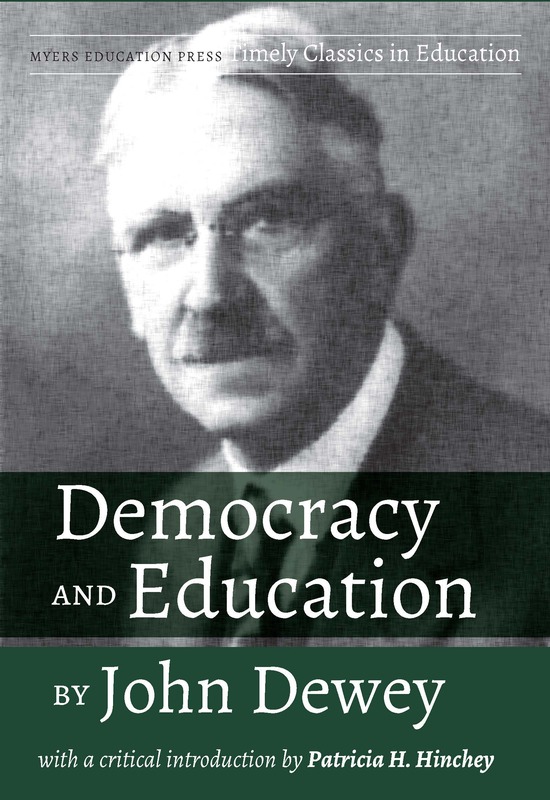 With a Critical Introduction by noted scholar Patricia H. Hinchey, Myers Education Press will release the newest edition of John Dewey’s Democracy and Education in April 2018. 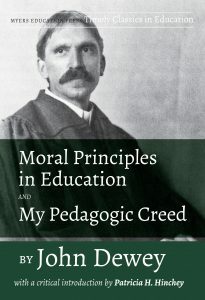 Some hundred years after John Dewey worked to illuminate what it means to educate and how public education serves as the bedrock of democracy, his seminal Democracy and Education speaks urgently not only to critical contemporary educational issues but to contemporary political issues as well. As mania for testing forces a steadily narrowing curriculum, Dewey explains why democracy cannot “flourish” if “the chief influences in selecting subject matter of instruction are utilitarian ends narrowly conceived for the masses.” As such utilitarian subject matter is increasingly placed online, isolating individual students and their electronic screens, he insists that education happens not through direct instruction but “indirectly by means of the environment” where members of a community engage in meaningful tasks. This volume includes a critical Introduction by noted scholar Patricia H. Hinchey, Professor Emerita of Education at Penn State. View more information about the newest edition of Democracy and Education. Focuses on hope and a vision of shared public work for the common good in the midst of a climate the emphasizes individualism and personal gain. First 75 attendees will receive a free copy of his book, The Internationalists. Scott J. Shapiro is the Charles F. Southmayd Professor of Law and Professor of Philosophy at Yale Law School, where he is the Director of the Center for Law and Philosophy. He is also the Visiting Quain Professor of Jurisprudence at University College, London. He is the author of Legality and editor of The Oxford Handbook of Jurisprudence and the Philosophy of Law. The Journal of School & Society is seeking papers for Issue #5.1: Student Autonomy, Public Civility, and Social Justice on Higher Education. 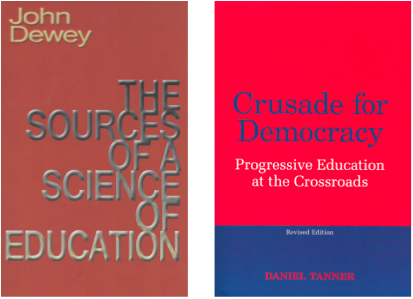 Along with your new membership, you will receive two classic books: John Dewey’s The Sources of a Science of Education and Dan Tanner’s book on the history of the John Dewey Society, Crusade for Democracy: Progressive Education at the Crossroads. The Society thanks the Tanner Foundation for making this offer possible. Visit the Membership page to join today! 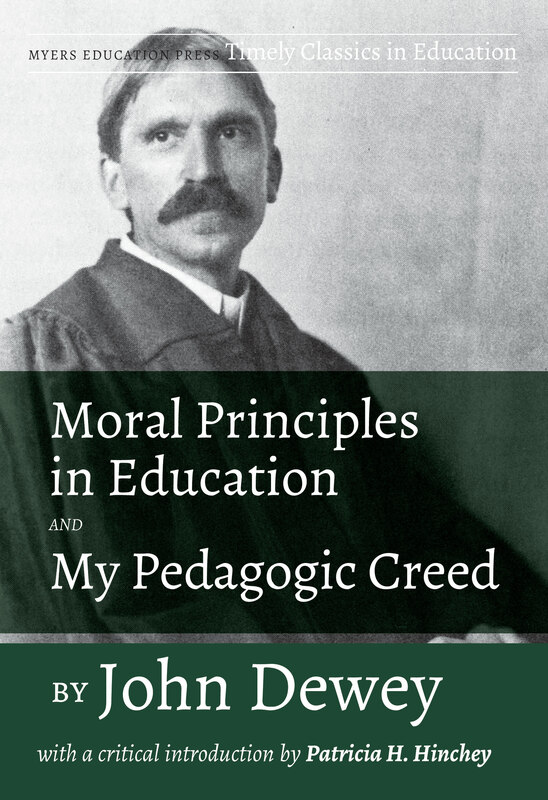 In John Dewey, America’s Peace-Minded Educator, authors Charles F. Howlett and Audrey Cohan take a close look at John Dewey’s many undertakings on behalf of world peace. This volume covers Dewey’s support of, and subsequent disillusionment with, the First World War as well as his postwar involvement in trying to prevent another world war. Other topics include his interest in peace movements in education, his condemnation of American military intervention in Latin America and of armaments and munitions makers during the Great Depression, his defense of civil liberties during World War II, and his cautions at the start of the atomic age. The concluding epilogue discusses how Dewey fell out of favor with some academics and social critics in the 1950s and explores how Dewey’s ideas can still be useful to peace education today. 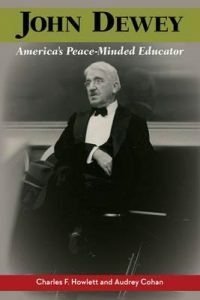 Exploring Dewey’s use of pragmatic philosophy to build a consensus for world peace, Howlett and Cohan illuminate a previously neglected aspect of his contributions to American political and social thought and remind us of the importance of creating a culture of peace through educational awareness. Kyle Greenwalt’s new book, Home/Schooling: Creating Schools that Work for Kids, Parents and Teachers, examines how, during the nineteenth century, American social reformers took hold of an already existing institution—the school—and sought to make it compulsory. In the process, they supplanted parents and domestic life—the home—as the primary educational force for children. 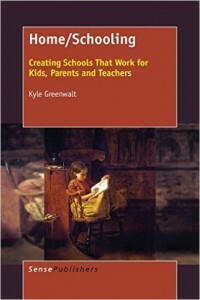 In this book, Greenwalt argues that as education was taken out of the home, American classrooms were at the same time remade into a particular kind of home life—one based upon a sentimentalized maternity, where love can always triumph over the “public” and “masculine” forces of competition, merit, and hierarchy. In this model, a good teacher loves her students. She makes her classroom into a home. Like a good mother, she sacrifices for them, enduring long hours of isolation, low pay, and little public support or recognition. Students, in their turn, should love their teacher. To please her, they should learn the values that would sustain a more virtuous republic. Parenting, through all of this, was redefined as a private activity. Battle lines were drawn and the stakes were love, learning and control. Greenwalt argues that it doesn’t need to be this way. That it is time to rethink the ways in which parents and teachers interact with one another. That it is time to redefine “homeschooling” as something all families engage in and that all public schools should seek to support. Dan Tedenljung’s new book, “Dads & Fathers: A Book on Dangerous Educators“ is for parents, but a very dif‌ferent one. It’s a book about something greater than you being fit to be a parent. It’s a book for anyone who wonders how the process of learning can be handled in a pragmatical way. 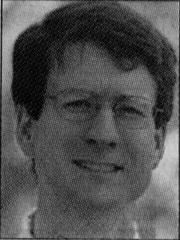 With the interest in the philosophy of pragmatism and a critique of the Western philosophy of knowledge, as well as in recent political philosophy, ethics, aesthetics, and philosophy of religion, a growing interest in knowledge development is now being directed back to the American philosopher who once influenced a whole world with his view of experience and education. 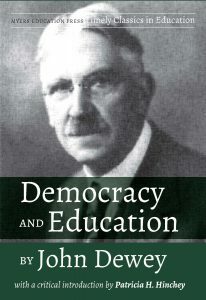 John Dewey wrote hundreds of articles and many books on topics such as: democracy, education, ethics and philosophy. From John Dewey’s comprehensive text production, we have chosen what we consider is one of the best statements of experience and human development, namely the book entitled Experience & Education. Tedenljung takes on John Dewey’s experimental method right from the beginning, from where it all starts, in the fostering of our own children. Let’s call our ambition a project of a parental attitude with global proportions. No matter what kind of educator people end up being: fathers, mothers, brothers, sisters, grannies, teachers, scholars, managers or politicians; there is no better starting point than John Dewey’s transactional theory of learning if to understand how life unfold. 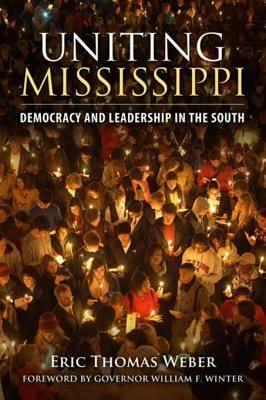 Eric Thomas Weber’s Uniting Mississippi: Democracy and Leadership in the South applies a new, philosophically informed theory of democratic leadership to Mississippi’s challenges. Governor William F. Winter has written a foreword for the book, supporting its proposals. 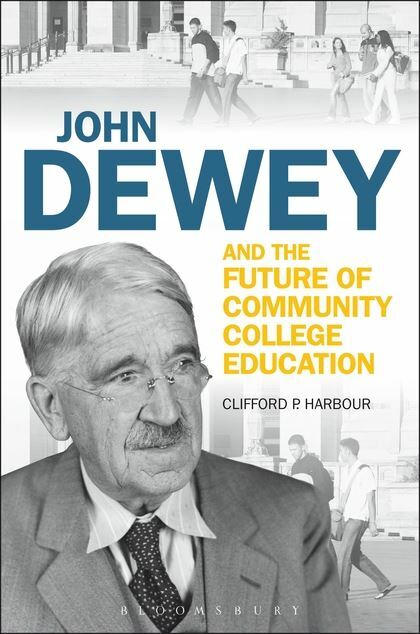 Cliff Harbour’s John Dewey and the Future of Community College Education, explains how faculty and staff at American community colleges can develop a new normative vision for their institution based on the work of John Dewey. More than other postsecondary institutions, community colleges are under increasing pressure to vocationalize their curricula and substantially increase graduation rates. Often the consequence of these “reforms” is to deny community college students the opportunity to learn from their experience and prepare for a full life in democratic communities. Harbour’s text provides concise parallel histories of the community college and John Dewey and shows how the philosopher is much more relevant to public two-year institutions than previously acknowledged. 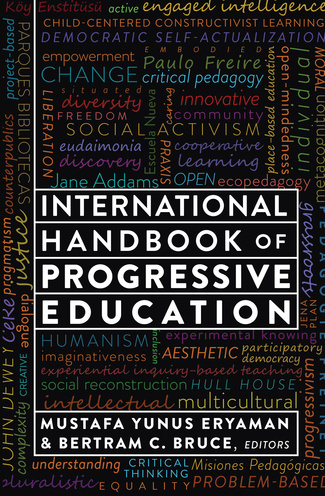 The International Handbook of Progressive Education (New York: Peter Lang, 2015) has just been published. This handbook includes contributions from many John Dewey Society members. The handbook is a large collection representing many historical periods and regions of the world. Chapters include, but are not limited to the Progressive Education period in the early 20th century US. 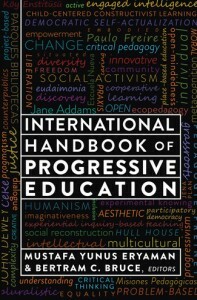 The editors involved with the project hope that it will become an essential resource for anyone interested in progressive possibilities in education. On 9 August 2015, the JDS officially launched its forum as a medium to enhance communication with those interested in discussing the scholarship of John Dewey. Those interested in joining the forum will first need to register and create a user account. The forum is located on the menu bar located on the homepage of the JDS. 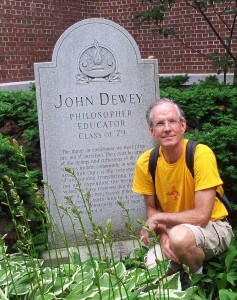 Recently, David Hansen, Director of the Program in Philosophy and Education at Teachers College, Columbia University, had the opportunity to visit Dewey’s grave site located in Burlington, Vermont. The site is beautifully tucked into a corner of Allen Chapel on the campus of the University of Vermont, where Dewey received his undergraduate degree in 1879. I found the occasion quite moving, and as Elaine and I stood for awhile in the quiet of birdsong and insects humming, I read to her a few of Dewey’s poems memorably collected by Jo Ann Boydston. To see more photos kindly provided by Professor Hansen click here. 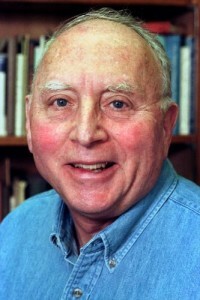 Along with serving a term as the JDS President, Philip was also the Dewey Lecturer in 1999 (from which his book, John Dewey and the Philosopher’s Task was published), and along with his recently passed colleague, Herbert Kliebard, the 1999 recipient of the JDS Outstanding Career Achievement Award. The John Dewey Society is pleased to announce a new book by one of its members titled, Dewey’s Earlier Logical Inquiry. 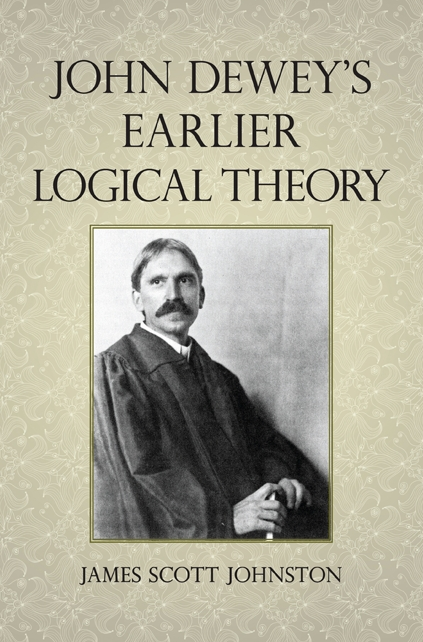 This book provides an analysis of Dewey’s pre-1916 work on logic and its relationship to his better-known work from 1938. James Scott Johnston is a Jointly Appointed Associate Professor of Education and Philosophy at Memorial University in Canada and at Memorial University of Newfoundland. For more information: Dewey’s Earlier Logical Inquiry. 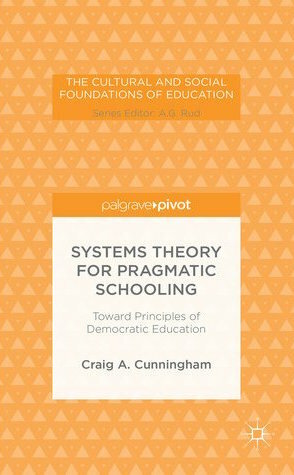 The John Dewey Society is pleased to announce a new book by one of its members, Craig Cunningham. 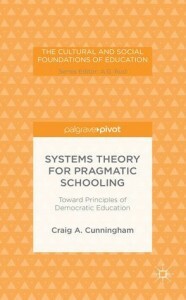 The book is titled, Systems Theory for Pragmatic Schooling: Toward Principles of Democratic Education. 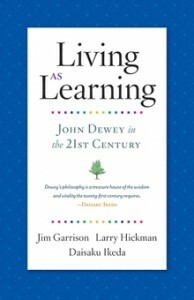 The John Dewey Society is pleased to announce a new book by its members titled, Living As Learning: John Dewey in the 21st Century. 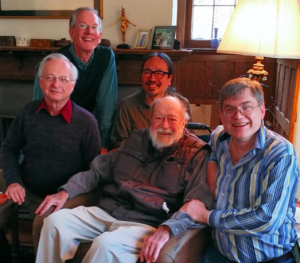 The book features Dewey scholars Jim Garrison and Larry Hickman in dialogue with Daisaku Ikeda. Living As Learning is a timely publication for educators looking to revive the creative, humanistic, and social dimensions of teaching and learning. The book is appropriate for any number of educational foundations courses of the sort. The authors also explore many powerful resonances between American pragmatism and humanistic Buddhism. 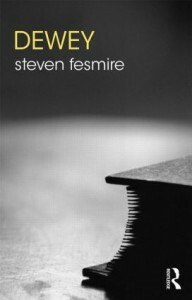 Steven Fesmire recently discussed his new book, Dewey with Routledge. 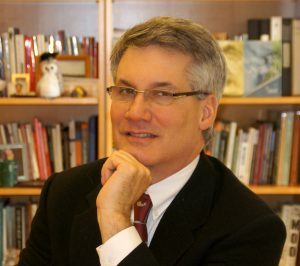 In this interview, Fesmire discusses what first attracted him to Dewey, the writing style of his new book, new features included in the book, such as a “lost book” written by Dewey in the 1940s and only recently discovered, the relevance of Dewey today, and what Dewey might make of today’s American education system. In this superb introduction, Dewey’s life and works are discussed and assessed before his key ideas across the major disciplines in philosophy; including metaphysics, epistemology, aesthetics, ethics, educational philosophy, social-political philosophy, and religious philosophy. This book is part of the The Routledge Philosophers series. The John Dewey Society grew out of a series of discussions held in 1934 and 1935. Originally called "The Association for the Study of Education in its Social Aspects," the name was changed to the John Dewey Society in early 1936. The John Dewey Society exists to keep alive John Dewey's commitment to the use of critical and reflective intelligence in the search for solutions to crucial problems in education and culture. 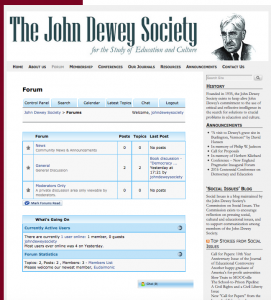 Social Issues is a blog maintained by the John Dewey Society's Commission on Social Issues. The Commission exists to encourage reflection on pressing social, cultural and educational issues, and to support communication among members of the John Dewey Society.